Earlier this year, the maximum bankruptcy exemption amount for IRAs increased from $1,171,650 to $1,245,475. This exemption amount is subject to cost-of-living adjustments (COLAs). Since most Americans don’t have IRA balances anywhere near $1 million, the IRAs of almost everyone will be fully protected from their creditors if they declare bankruptcy. The new $1.2 million exemption amount does not apply to SIMPLE and SEP IRAs because these IRA based employer plan assets are fully protected in bankruptcy in an unlimited dollar amount. There is also no maximum exemption for assets in employer retirement plans such as a 401(k). Anyone who has IRAs that exceed the new $1.2 million exemption amount should consider rolling over their IRAs into their employer plan to get the unlimited creditor protection. Note that not all employer retirement plans accept rollovers from IRAs, so check with your employer’s plan administrator. The $1 million limit does not apply to assets that were rolled over from an employer plan and into an IRA. Because these rollover funds and their earnings are fully protected from creditors, if you ever file for bankruptcy, it’s probably easier if those rollover assets are kept in a separate IRA. 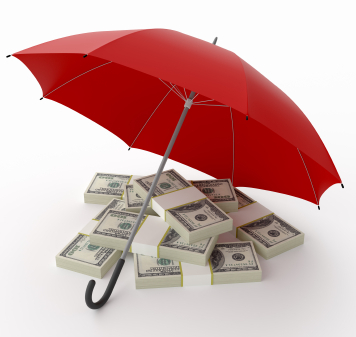 The bankruptcy exemption amount only protects your IRA money if you declare bankruptcy. There are instances when your IRA can be taken. For example, if you get a divorce, some or all of your IRA can be awarded to your ex-spouse. Also, if you owe the IRS money, the IRS can take (levy) your IRA. Bankruptcy rules are very specific. You should always consult with an attorney if contemplating filing for bankruptcy. 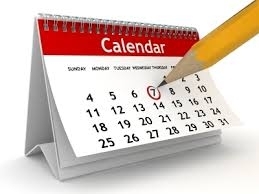 If you need to file a Form 1065 (partnership return), Form 1120S (S corporation return) or Form 1041 (fiduciary return) the deadline to file your 2012 return is September 16, 2013. This assumes you had filed for an extension prior to April 15, 2013.If you put your personal tax return on extension (Form 1040), you still have until October 15, 2013 to timely file your 2012 return.As we mentioned a few weeks ago —TTW No. 193 It is Better to Extend vs. Not Filing on Time — putting your tax returns on extension can be a good thing—but penalties to miss any deadline can be steep.At this late date, it would be better to file on-time and then file an amended return later if you don’t have all your information. You can contact us in Dayton at 937-436-3133 and in Xenia at 937-372-3504. Or visit our website.Rick Prewitt – the guy behind TTW…until next week. The most flexible savings retirement account of all…. As tax rates increase, the Roth individual retirement account keeps looking better and better. The key feature of a Roth IRA is that all money invested into one of these accounts grows tax-free and qualified distributions are also tax-free! This Tax Tip will look at eight ways to maximize the flexibility of Roth IRA accounts. Easy access to your money at any age. You are always allowed to withdraw your investment in a Roth at any age. Example: you are age 40 and put $1,000 into a Roth account on January 1. If that account grows to $1,100 by June 1, you can take out your original $1,000 investment tax-free. That is why it is important to maintain your cost basis in a Roth account over the many years you may invest into one. You do not receive a tax deduction when you contribute to a Roth IRA, but as we said earlier, they do provide tax-free retirement income. To get this tax break you must generally hold the Roth IRA account for at least five years and be older than 59.5 years old. Tax-free wealth for your heirs. If you don’t plan to spend all of your retirement savings, Roth IRAs are a terrific way to pass tax-free wealth on to your children or grandchildren. Your heirs will pay taxes at some point on any inherited traditional IRAs. They can inherit your Roth IRAs tax-free and potentially enjoy tax-free growth for a generation or more. Roth’s allow you opportunity to increase wealth at older ages. Traditional IRAs require that you start taking distributions at age 70.5. Roth’s do not require distributions, therefore allowing you to ability to keep money in the account when you may not need the money. In addition, if you receive earned income after age 70.5 you can still make Roth contributions whereas you cannot make traditional IRA contributions. Potential savings on future Social Security taxes and Medicare premiums. If your income is above $25,000 single, or $32,000 married, than some portion of your Social Security benefits will be included in your taxable income. Traditional IRA distributions go into this calculation. Distributions from a Roth IRA do not get included in the calculation of taxable Social Security income. Adjustments to Medicare premiums will occur if income is over $85,000 singles, and $170,000 for married couples. Once again, Roth distributions will not be added to this equation of increased Medicare premiums. You might want to consider rolling over a modest amount of traditional IRA funds into a Roth IRA during your working years. You will pay taxes on that rollover, but if your tax rate in retirement years will be about the same as your working years it may help you reduce the depletion of “tax-favored” savings in retirement. Roth’s make a great gift for kids. Let’s say you have a 14 year old child or grandchild that has a part-time job that pays them $1,200. If you make a $1,200 Roth contribution for them that investment would grow to almost $61,000 over the next 50 years (assuming an 8% annual return on the investment). As always, let us know if you would like to discuss your savings plans in greater detail. We will continue to keep you posted on this growing problem.